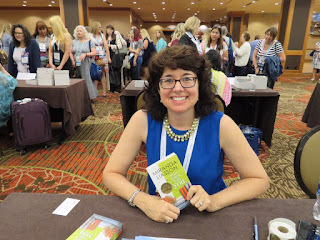 This year's RWA national conference kicked off on Wednesday, raced through a series of workshops, parties, random meet-ups, meals with friends, book signings, awards ceremonies, Blogger Day, warm reconnections with old friends, introductions to new friends, and wrapped up with the Readers for Life Literacy Autographing Saturday afternoon. It's a whirlwind ride but one I happily jump on every year and intend to repeat for as long as I'm able. Here are a few final highlights. This seemed to be the year of flat shoes but I managed to catch a few people wearing heels. 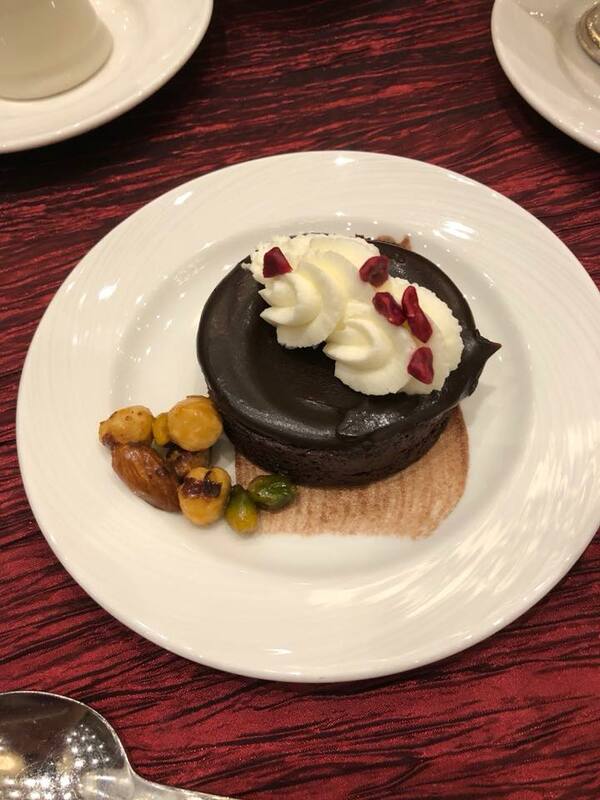 I was excited to discover that this rich, gooey, chocolate cake at the Librarians Day/Blogger Day luncheon was flourless. Which meant I could eat it! Have you discovered Joanna Shupe's Gilded Age historical romances? I love them! 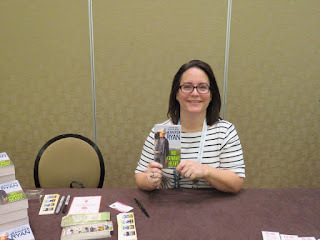 You've heard me rave about Katie Ruggle's romantic suspense novels over the past couple years so you can imagine how excited I was to finally meet her in person..and come home with ARCs of her October release, Rocky Mountain Cowboy Christmas! Author Victoria Vane led a fascinating workshop on ladies fashion through the centuries. In case you're wondering, yes, she made all of those fashions herself! Fashion models are authors (left to right) Madeline Martin, Eliza Knight, Julie Johnstone, Laura Kaye, Collette Cameron, and Victoria Vane. 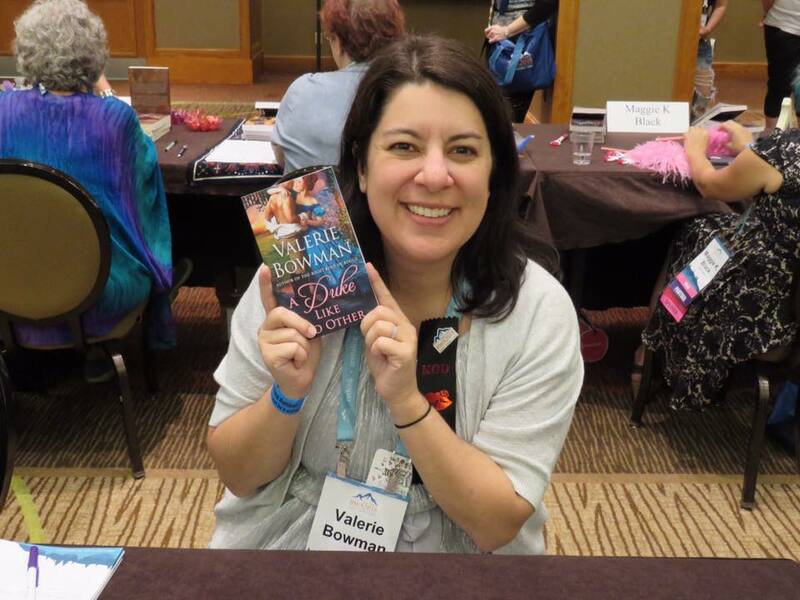 Valerie Bowman pens some of my favorite historical romances and is one of the nicest people you'll meet in the world of romance. I was so excited for Carey Baldwin. 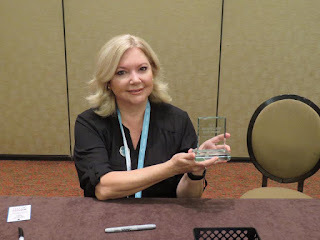 Her book, STOLEN: A Cassidy & Spenser Thriller, won the Booksellers Best Award for Single Title Romance. Her books keep me reading late into the night and she never fails to toss in a twist that catches me completely by surprise. I love that! I've fallen in love with Maisey Yates' western-set contemporary romances. I thoroughly enjoyed the first two books in her new Gold Valley series but the one I'm really looking forward to is Good Time Cowboy (due out 8/21). It's an enemies to lovers story and sparks have already been flying between these two characters in the first two books. I can't wait! 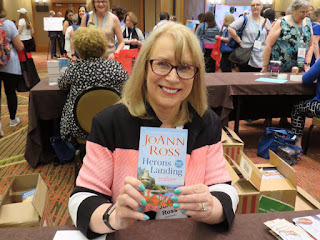 I've been reading JoAnn Ross books for years but this was the first time I've met her in person. What a gracious lady! Celebrating Kristan Higgins' RITA® win for Now That You Mention It! 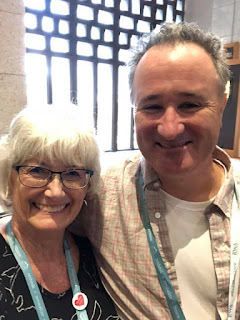 And in the interest of equal time, here I am with Kristan Higgins' fabulous, firefighting husband, known affectionately online as McIrish. Sarah MacLean was looking stunning at the RITA® awards! 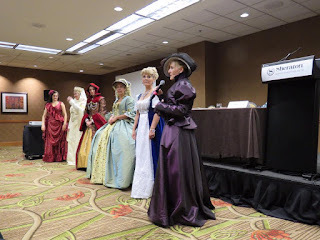 Her book, The Day of the Duchess was a Finalist for Best Historical Romance: Long. 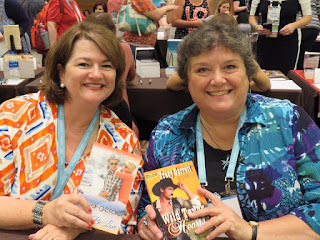 It was such fun to catch up with Nancy Haddock, an author I hadn't seen in years. If you like cozy mysteries, give her books a try! RITA® finalist, Avril Tremayne traveled all the way from her home in Australia for this year's conference. 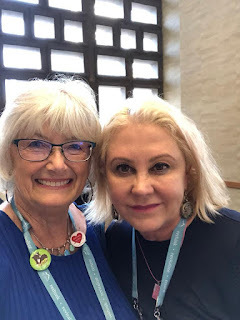 I so enjoyed visiting with her at this year's Blogger Day reception. 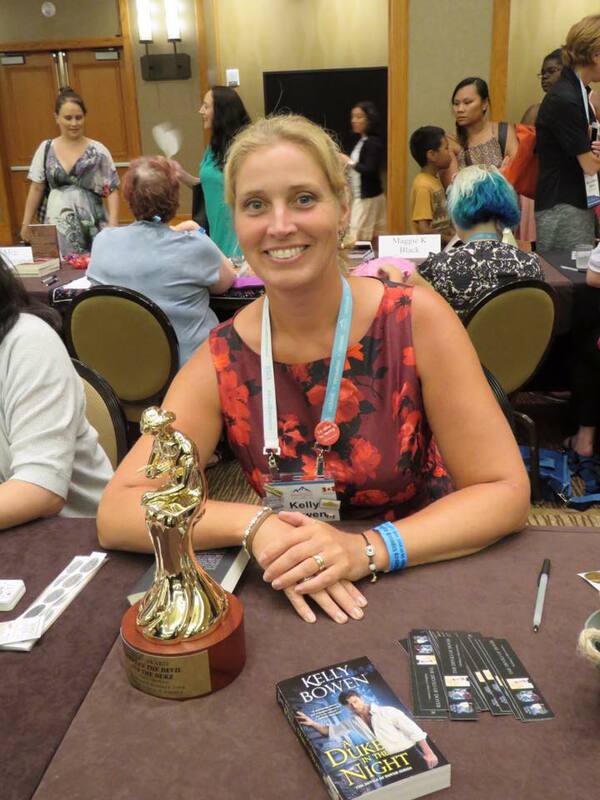 The Dating Game: Finalist for Best Contemporary Romance: Long. Enjoying the Librarians Day/Blogger Day luncheon with three of the nicest people around: Kristan Higgins and RWA Cathie Linz Librarians of the Year, Wendy Crutcher (2011) and Fran Cassano (2018) - both worthy recipients of this prestigious award. 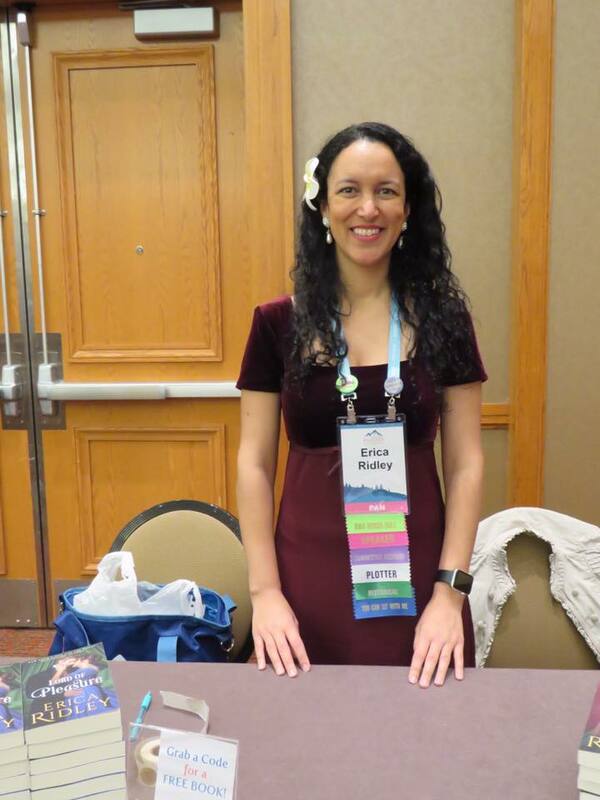 Erica Ridley is not only a terrific author but also did a wonderful job of emceeing this year's RITA® ceremony. 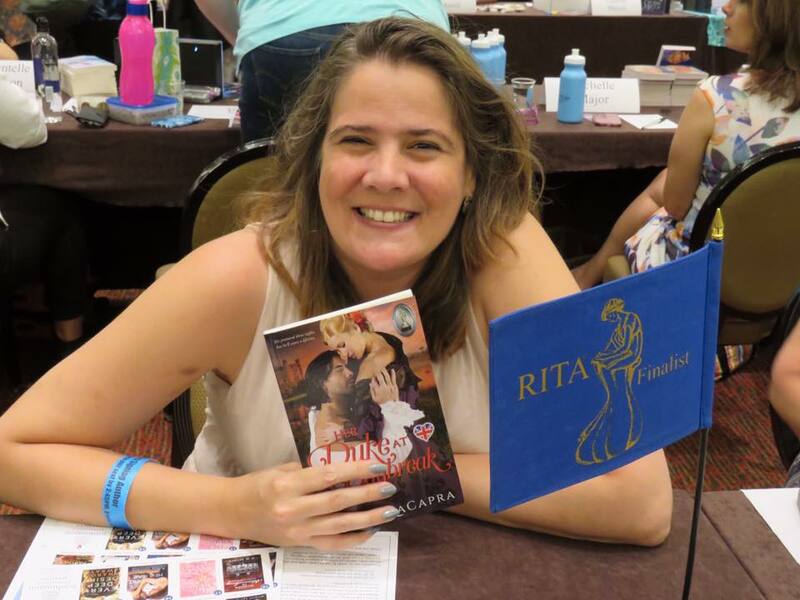 Wendy LaCapra was a RITA® finalist in the Best Novella category this year with Her Duke at Daybreak (my review). I love to see good things happen to good people and Wendy is one of the best. 2018 Rita® finalist, Maria Geraci and Western Romance author, Tracy Garrett are two of my favorite people. It was fun to find them side by side at the Literacy Signing! This Can't Be Love: Finalist for Best Contemporary Romance: Mid-Length. 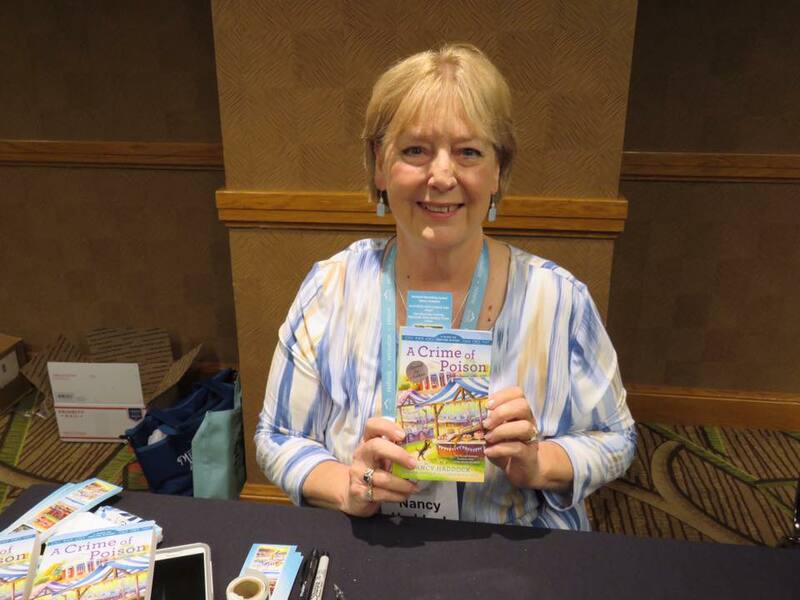 Watch for a new Hallmark movie based on Nancy Naigle's book, Christmas Joy coming to television for this winter's holiday season! 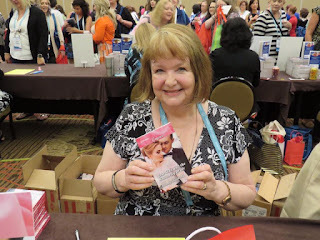 Lorraine Heath is so lovely and gracious and I am loving her new historical romance series. Watch for book two, When a Duke Loves a Woman, scheduled for release August 21, 2018. 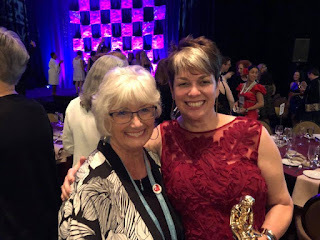 I had a wonderful time visiting with Liz Fielding and Jeanne M. Dickson, both 2018 RITA® Finalists. Grounded Hearts by Jeanne M. Dickson: Finalist for Best Romance with Religious or Spiritual Elements. The Sheikh's Convenient Princess by Liz Fielding: Finalist for Best Contemporary Romance: Short. If there's anyone who can spend more than two minutes with Beverly Jenkins without smiling, I've yet to meet them. She was the belle of the Avon Romance and Rosé book party at the Tattered Cover Book Store. They're not heels but I thought they were adorable! Whether you enjoy historical romance, steamy contemporary romance, or YA, Sophie Jordan has a book for you! Australian Kandy Shepherd is not only an outstanding roommate but she's also a darn good author. I always look forward to a new book from her! Kianna Alexander with Back to Your Love, the first book in her Southern Gentlemen series. Kristan Higgins calls it "a lush, beautifully written story about the indelible mark of first love. Intelligent, fresh, and utterly lovely." If you like emotionally charged romantic suspense set in rugged Montana, I enthusiastically recommend the books of 2018 RITA® Finalist, Jennifer Ryan. I can't put them down! Montana Heat:Escape to You: Finalist for Best Romantic Suspense. If you enjoy laughing, you'll adore Cathy Maxwell. 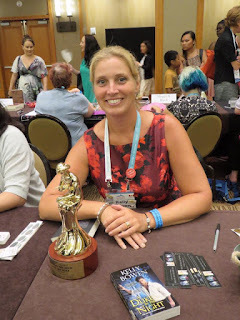 This smart, kind, funny, generous, and talented author of more than 40 books and novellas lights up a room and her books will light up your keeper shelves. 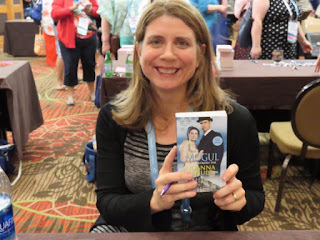 I may have fangirled a bit over Alyssa Cole (okay, so I ambushed her in the hotel lobby while she waited for her room to be ready) but I can't overstate how warm and patient she was with this admirer of her work. 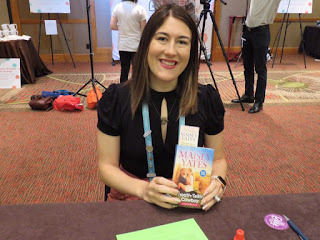 She even waited for me to run up to my room to get my two copies of A Princess in Theory which she signed - one for me and a second one to give away here at the blog. ...and my drink (a Sangria Swirl), divine! It was the perfect exclamation point on another successful RWA national conference. 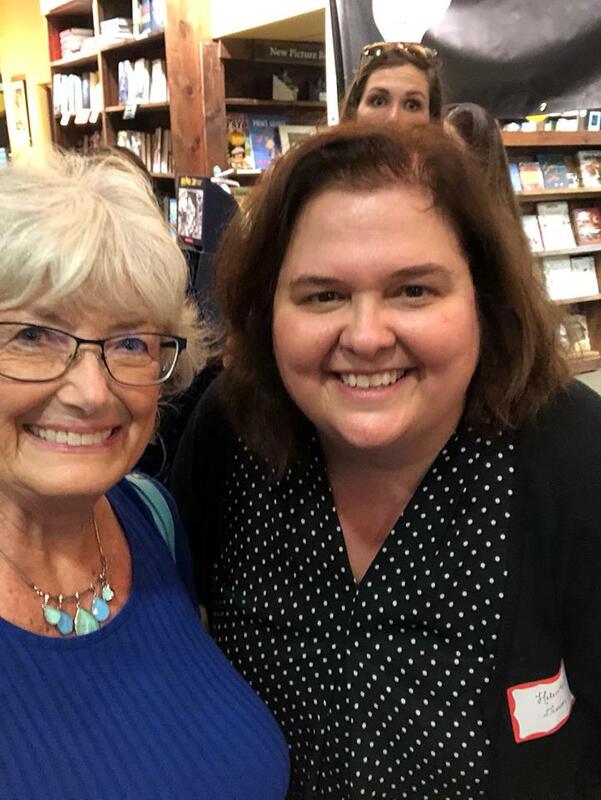 Have you ever attended an event where you got to meet favorite authors? What's your favorite sub-genre of romance? Historical? Contemporary? Romantic Suspense? Paranormal? Something else? Comment on this post before 11:00 PM (Eastern), July 30, 2018 for a chance to win one of the two packages below. All three of those authors are lovely people and so appreciative of their readers. I hope to be in NYC next year too! 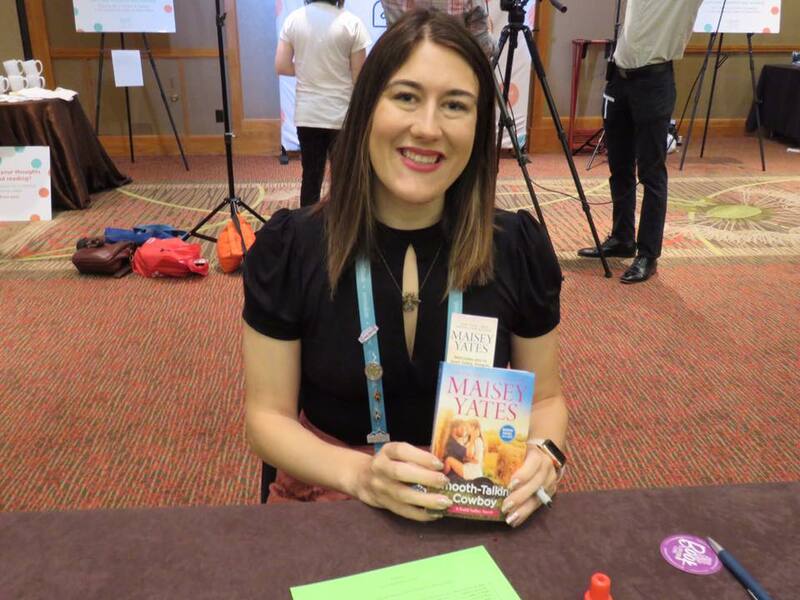 I went to my first book conference this past April. I got to meet of my favorites Erin Nicholas and Mari Carr. And also Erin McCarthy and Shelli Stevens was there. I can't wait to go to more. I would love to meet Kristen Ashley Toni aleo. How exciting that you got to meet some of your favorites! Mari Carr and Shelli Stevens are new to me but I've read McCarthy and Nicholas. 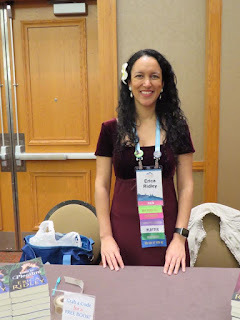 In the past year or so I've met several authors and attended two reader coventions and three other events. I am dying to meet Suzanne Enoch! I love all her books and she's one of the few of my favorite authors I've not met yet . Hope you'll have an opportunity to meet her one of these days! I have never been to a conference but I would love to go. You actually listed a few that I would love to meet. Maria Geraci, Miranda Liasson and Katie Ruggle would rate for me along with Christina Dodd and Jayne Ann Krentz. I’ve only gone to Barbara Veys reader appreciation luncheon for the last 4 years. Hope to take advantage of the Friday activities next year. Thinking about kiss.con in Chicago. I’m a historical reader for the most part. Finishing up Amanda Quick’s “the other lady vanishes”. Hi Betsy! Thanks for stopping by. I hope you'll be able to join the Friday festivities at next year's BVW. They're a lot of fun! I've registered for KissCon Weekend in Chicago. It's shaping up to be a fabulous event! I have never attended one, but would love to! I love small town romance contemporary series books the most. I would love to meet Sherryl Woods, Danielle Steel, Robyn Carr, Emily March...just to name a few. I am reading Emily March’s The First Kiss Of Spring (Eternity Springs newest) right now. 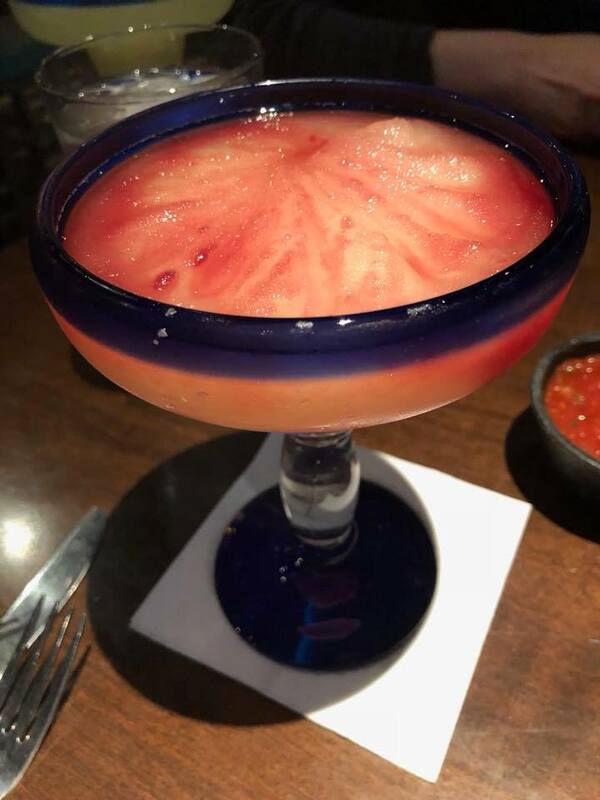 Thanks so much for sharing your photos and your experience! I've never met Woods or Steel but have met Robyn Carr and Emily March numerous times. They're just as lovely as you would expect them to be after reading their books. I have not been able to meet authors personally. I have only been able to attend a gathering where the author spoke but did not interact with the readers. I LOVE historical romances, but I also have certain contemporary series which really make me smile. You met several authors who are some of my favorites. And I plan to make a list of the ones who are new to me, and see what I can find.... y'all continue to give me new authors, new books and a larger tbr list....not even counting the fact that I am going to mortgage the house to keep reading. Thanks for going and not only enjoying the conference but also the scenery. Most of all, thanks for sharing it all with us. I'm glad you've enjoyed my photos and posts from the conference, Annette. I hope you'll be able to attend a gathering where you can interact with authors one of these days. By the way - the leopard heels are absolutely wonderful. I couldn't wear them, but I might put them in my closet and drool over them. Aren't those awesome? I'd never be able to wear them either but I sure enjoyed looking at them. The author sporting them was Susan Sey whose books I always enjoy for their quirky characters and solid plots. 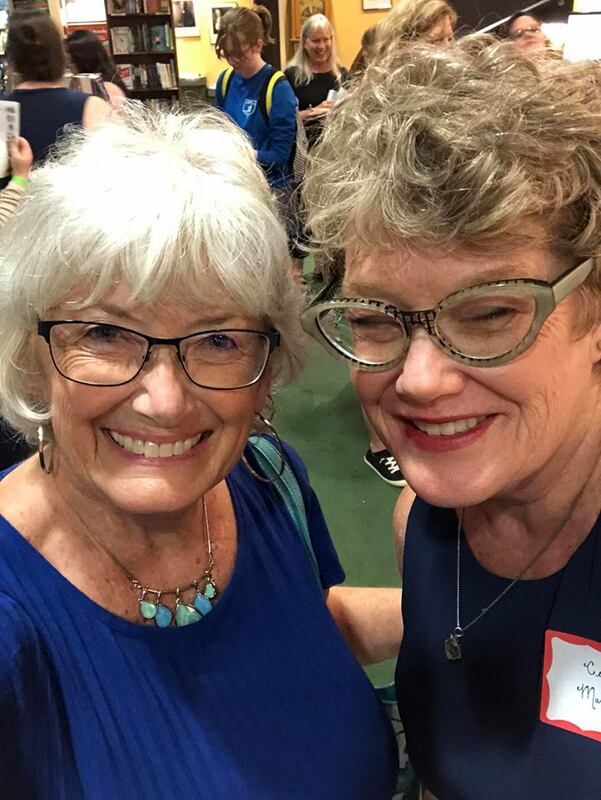 haven't been to an author signing yet - maybe some day - but I tend to avoid crowds & can't stand in line for too long (kills my back) - definitely would be wearing flats! I'd love to meet Mary Balogh - just finished one of her older books 'Unforgiven' - now I'm reading Betty Neels 'A Suitable Match' - I'm working my way thru her booklist. I met Mary Balogh at the first Historical Romance Retreat in 2016. She was an absolute delight. I have always envied you getting to meet so many authors. I am looking forward to finally meeting a few myself at Atlanta's KissCon. I read historical and contemporary primarily, but I do occasionally read suspense and paranormal. Right now I am reading The Demon Duke by Margaret Locke on my Kindle and How the Cowboy Was Won by Lori Wilde in paperback. By the way, I have seen several pictures of the costumes that Victoria Vane made. I am so impressed with her sewing skills! Cheryl said: I am looking forward to finally meeting a few myself at Atlanta's KissCon. And I'm looking forward to meeting YOU! Sadly I've never been to an event where I could meet my favorite Authors. I would love to meet Shana Galen, Kerrigan Byrne, Valerie Bowman, Joanna Shupe, Lorraine Heath, and quite a few other Authors, too. My favorite sub-genre of romance is Historical, Medieval, Romantic Suspense and Paranormal. Contemporary? Romantic Suspense? Paranormal? I just finished reading Texas Destiny, which was absolutely swoon worthy. Now I'm looking forward to the next book in the series, Texas Glory. I attended an author reader get together held by the Rose City Romance Writers. It was great fun and I enjoyed meeting Lucy Monroe and Susan Fox. It was many years ago. I would dearly love to meet Alisha Rai and Lorraine Heath. I don't have a favorite sub-genre for romance, I pick up what strikes my mood at the time, and I love variation. I am currently reading a cozy mystery called The Marmalade Murders by Elizabeth J. Duncan. I have met Sabrina Jeffries, Madeline Hunter, Elizabeth Michaels and Katharine Ashe. I love the Historical Romances. I would like to meet Debbie Macomber. I am currently reading An Affair With A Spare by Shana Galen. I met Kristan Higgins, Sonali Dev, Tracy Brogan, Kimberly Kincaid, Tracy Solheim, Nancy Herkness, Avery Flynn, Karen Hawkins, Alana Lucas, Janna MacGregor, Lenora Bell, Eloisa James and more at Barbara Vey. 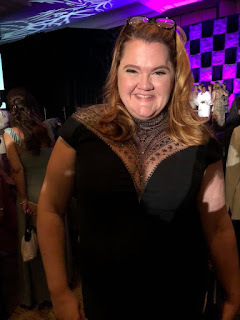 I also met Jill Shalvis, Lori Foster, Carly Phillips, Regina Kyle, Stefanie London, Kathy Lyons, Erin Nicholas, Jenny Bernard, Erin McCarthy, Violet Howe, Tina de Salvo, Jessica Lemmon, and many more at Lori Foster's RAGT. I've also spent time with Jeannie Moon and Lizbeth Selvig and met Susan Elizabeth Phillips too. I've been very fortunate. I love Contemporary and Historical and I've read a few Romantic Suspenses. I also enjoy cozy mysteries. I was lucky enough to go to RT in Dallas a couple of years ago. 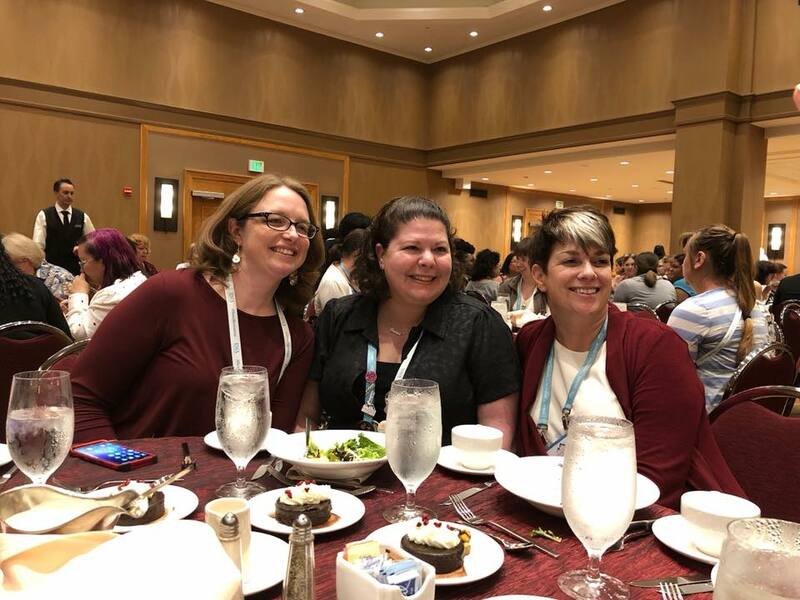 It was my first big conference and a bit overwhelming. It is hard to spend much time visiting with authors because there are so many of them and so many attendees. I sat at B. J. Daniels' table, she is a long time favorite, at a military session and spent the time visiting with her husband. 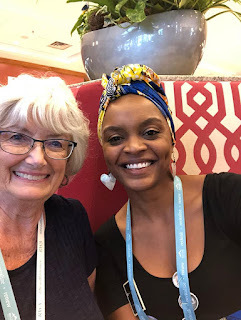 I met Patience Griffin, a new author to me at a sales area at the end of the weekend. She was very nice and we had a delightful talk. 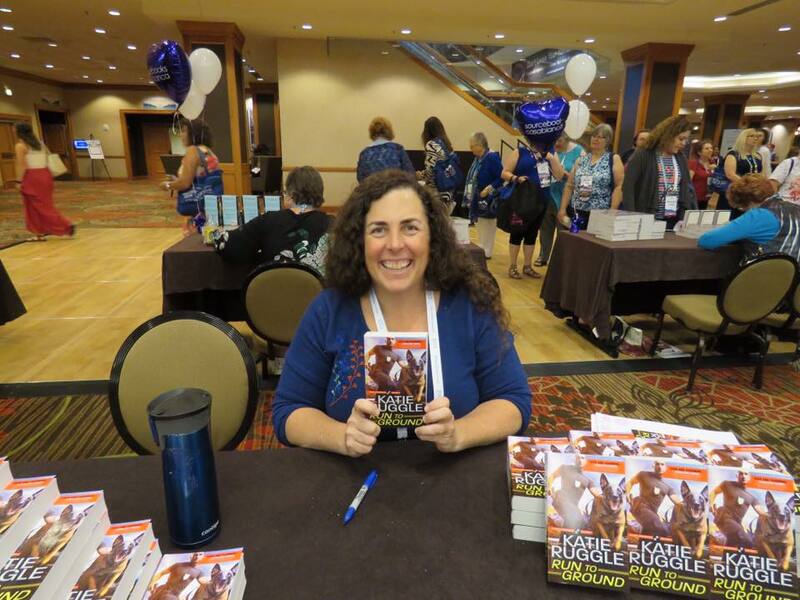 I attended RomCon in Colorado Springs in 2013, my first author-reader event. Because it was smaller, we got a better opportunity to meet and visit with authors. The breakout sessions that they had - 12 readers and one author just visiting for 45 minutes or so were wonderful. I got into a session with Heather Graham, whose books I had enjoyed for years. What a fascinating woman. I had a session with Pamela Clare whose historical books I enjoyed. Another interesting person. 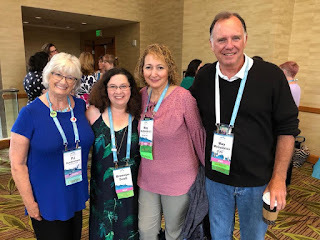 I met new to me authors, Paty Jager, Melissa Mayhue, and Elizabeth Essex all of whom were gracious and have become favorites. Historical romance and romantic suspense are my favorites. I like just about everything except horror and erotica. I would love to meet Julie Garwood. Her historical romances were the first romances I read and they got me hooked on the genre. I haven't been able to read anything for 3 weeks and am trying to find the time to start Linda Broday's new one CATCH A TEXAS STAR and her new anthology GUNSMOKE AND LACE. I know once I start a book, I won't get anything done around the house. Thank you for the giveaways. Both packages have good books in them. 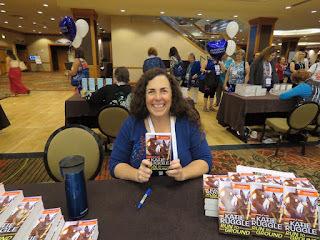 I discovered Katie Ruggle on The Dish and love her books. I've never been to an event but should I ever get to go, I'd love to meet Jo Goodman, Eloisa James, and Linda Broday. I primarily read historical fiction, especially American westerns the past few years, but I also read some contemporaries here and there, especially humorous ones. I just finished reading To Catch a Cowboy by Linda Broday, and Melt for You by J.T. Geissinger. Everyone seemed to have such a good time! 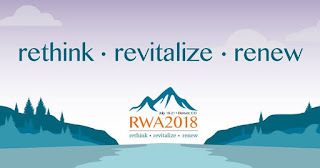 I've never been to any of these events but hopefully in a year or two I'll be able to attend a RWA event, then it'll be me fangirling around all the amazing authors. Thanks for sharing your experiences with us! I'm fangirling over your pics! I love historical and contemporary romance the best. Yes, both. PJ, thank you for the wonderful pictures . I've never been to a conference but I'm definitely going to make it. Hopefully next year. :) I'd love to meet Joanne Shupe, Kristin Higgins, Beatriz Williams, Karen White, !orraine Heath Donna Grant, Rachel Hauck etc. I'm currently reading The Love Letter by Rachel Hauck & The Summer Wives by Beatriz Williams. Love Historical Romance and Time Slip Books. Lucky4750 at aol dot com. Great photos, esp the goeey choc dessert. 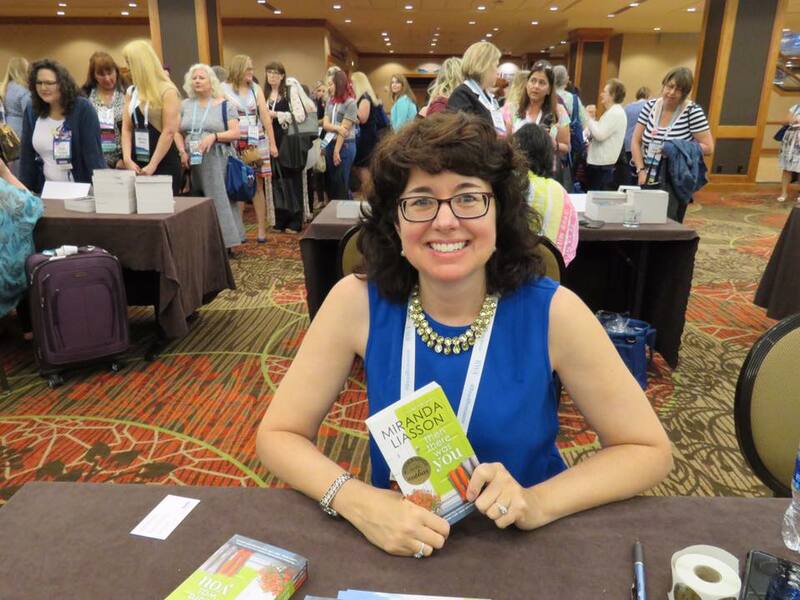 Have you ever attended an event where you got to meet favorite authors? YES, see below. Which author would you most like to meet? SEVERAL, SUSAN MALLERY, ROBYN CARR, JILL SHALVIS. 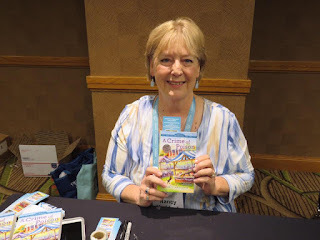 I HAVE NOT BEEN TO ANY CONVENTIONS BUT TO SEVERAL WONDERFUL BOOK SIGNINGS WITH JAMES PATTERSON, NORAL ROBERTS, SUZANNE BROCKMANN, BARABAR DELINSKY. I love seeing these pictures of my favorite authors and our sweet PJ. I have never been to an author convention but I imagine it would be fabulous. I would love to meet Theresa Romain, Shana Galen, Kelly Bowen and so many more! I have always loved Historical Romance and have recently been enjoying Thrillers. Right now, I'm enjoying reading and reviewing an ARC of "What Ales the Earl" by Sally MacKenzie. Her tongue-in-cheek humor just cracks me up. Wonderful photos of your great experience. I would enjoy this event and the authors are all fascinating and wonderful. I would love to me so many of these special and talented women. I enjoy historical, fiction, contemporary and suspense. I would love to attend this convention and would enjoy meeting Mary Balogh, Kelly Bowen, Joanna Shupe and many more. I love the pictures. I read historicals mainly but also contemporary novels and fabulous fiction, family sagas and mysteries. I've never attended one but would love to. Historicals are my favorite although I do read probably all but two genres. I'm currently reading, To Love a Duchess by Karen Ranney and really enjoying it. I've never been to a big author convention. I like both contemporaries and historicals, so it would be nice to meet Julie James, Sherry Thomas, Julia Quinn, Susan Elizabeth Phillips and so many more. Wow! All of those books seem like a lot of fun. I'd love to win one. I'd most like to meet Mary Balogh, Susan Elizabeth Phillips, and Loretta Chase. I've never been to one,but one of these days I'll make it. I read a bit of everything but Historicals are my favorite. I'm biding time till Borrn to be Wilde hits my kindle app a d reading a few novellas, but also reading The Rakes Handbook by Sally Orr. I've almost finished it. I forgot to add - Thanks for all the wonderful photos PJ!